Dentistry has always been a fulfilling career for me. 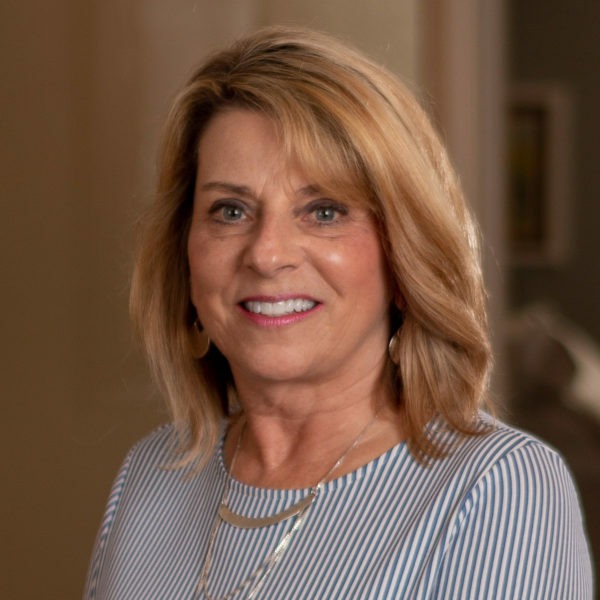 After graduating from Indiana University School of Dentistry in 1976 and starting a family dental practice in Auburn, I continue to enjoy caring for our patients every day. 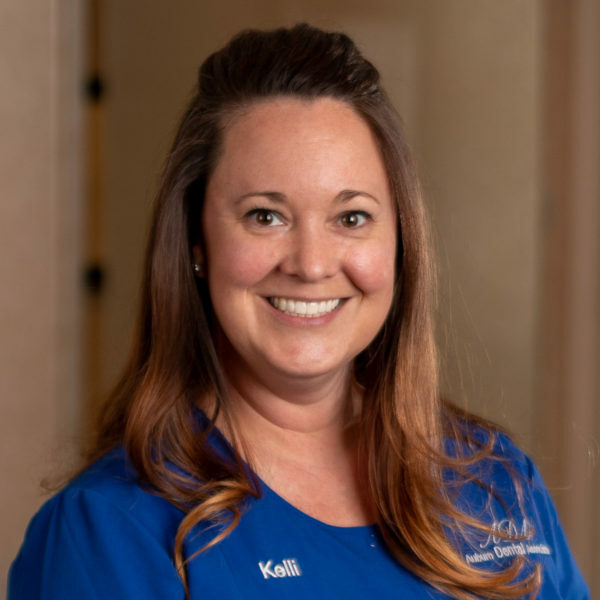 I work with a dedicated, professional staff committed to excellence in patient care while treating our valued patients as we would family members. Now that my practice has grown to include son, Dr. Andy, and daughter, Dr. Anna, Auburn Dental Associates continues to emphasize a real sense of a dental family. Originally from Ft. Wayne, I graduated from Concordia Lutheran School in 1968 and Wabash College in 1972. 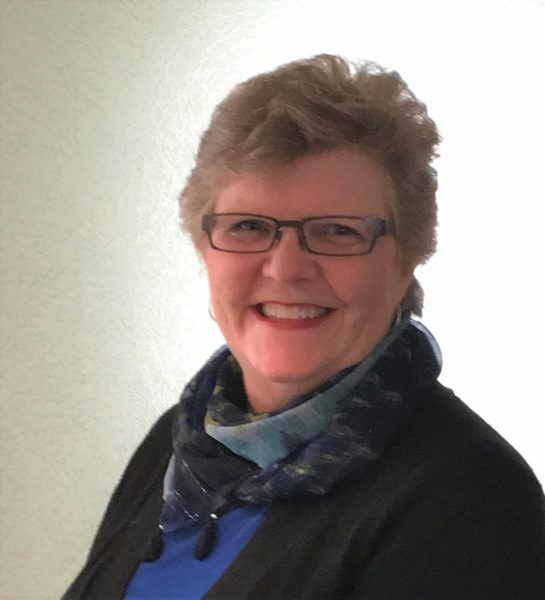 I have enjoyed serving on various non -profit boards including United Way, Chamber of Commerce, DeKalb Health, St. Martin’s Health Clinic and Trinity Lutheran Church. Hobbies include time at our lake house, hiking, reading (especially history) and enjoying time with grandchildren. Dr. Andy Schmidt is passionate about quality dentistry and enjoys getting to know each and every patient. Dr. Andy grew up working in the dental office during his summer vacations and decided to pursue dentistry while he was in high school. He and his wife Stacy, both grew up in Auburn and are proud to be part of the community. They enjoy spending time and seeking new adventures with their children, Connor, Reese and Quinn. You can frequently find Dr. Andy enjoying nature, reading and playing (and coaching) basketball. 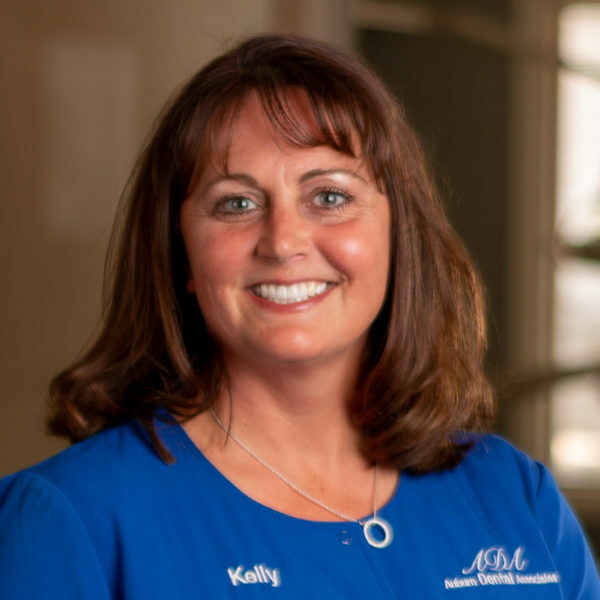 After graduating from DeKalb High School in 1994, Dr. Andy continued his education as a student athlete at Grace College in Winona Lake, Indiana. 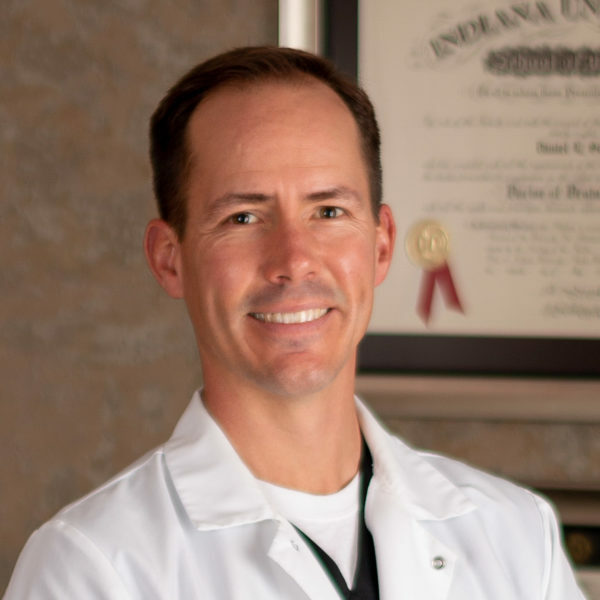 He graduated with a bachelor’s degree in Biology in 1998 and earned his DDS from Indiana University School of Dentistry in 2002. Dr. Andy worked for 18 months in Kokomo but it was always his dream to return to Auburn to work with his dad, which he did in 2004. Dr. Andy is a member of the American Dental Association and Isaac Knapp Dental Society. 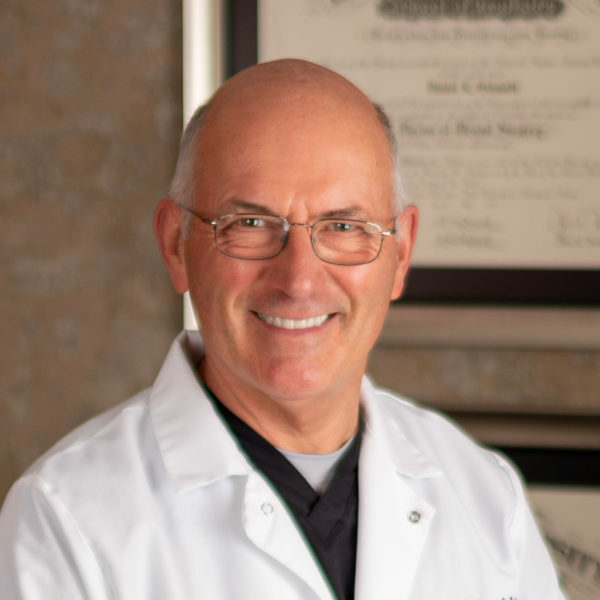 He is also a Fellow of the Academy of General Dentistry and a Fellow of the Dental Organization of Conscious Sedation. Committed to providing the best possible care to his patients. Dr. Andy is a Faculty Club Member at Spear Education. Dr. Andy values giving back to the community and enjoys volunteering at St. Martin’s Healthcare Clinic. 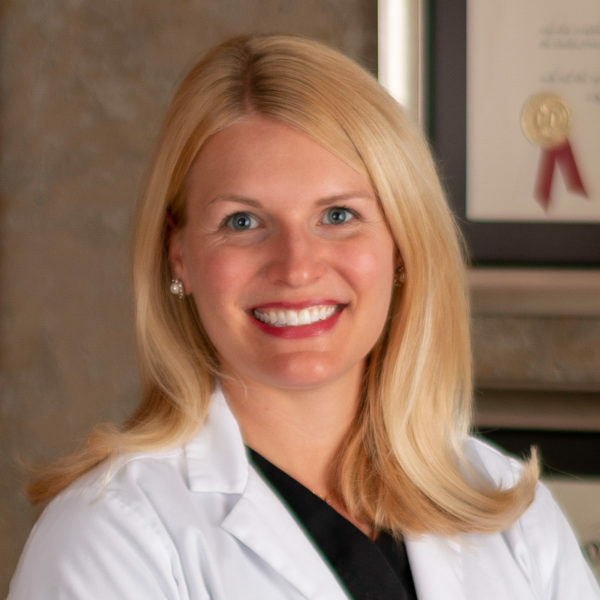 Dr. Anna Marr joined Auburn Dental Associates in July 2017. She is a graduate of Indiana University of Dentistry. An Auburn native, Dr. Anna is thrilled to be back home practicing with her father (Dr. Dan) and brother (Dr. Andy). 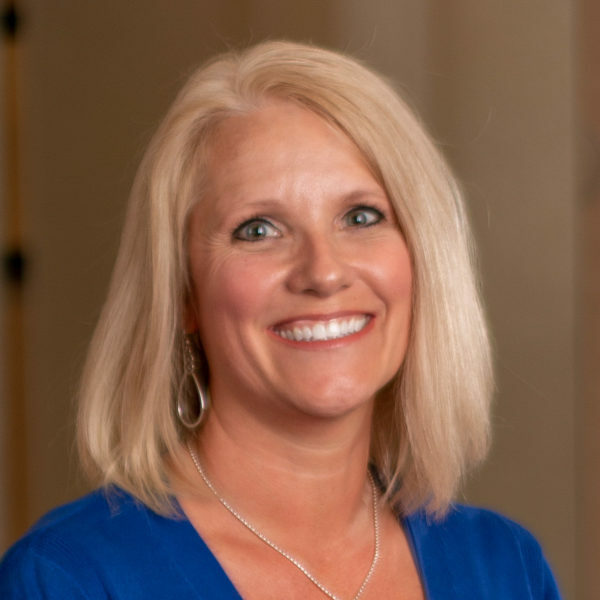 Dr. Anna began her career as Speech Pathologist working with middle and high school students in Dallas TX. A graduate course with dental students ignited her interest in pursuing a career in dentistry. 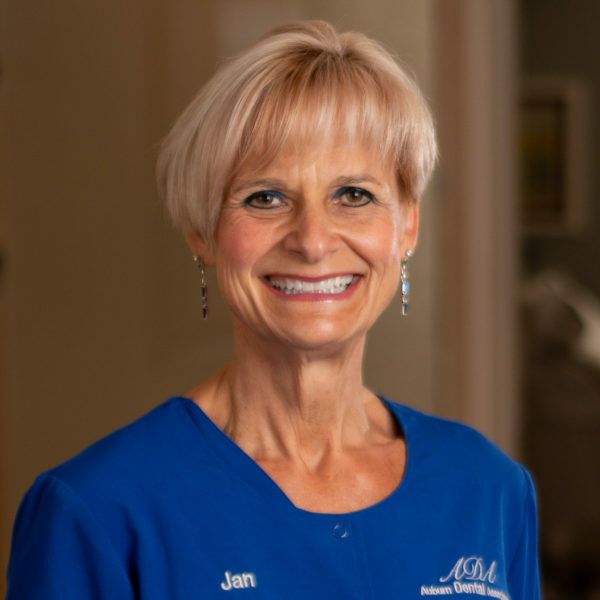 Dr. Anna is an active member of the Isaac Knapp District Dental Society (IKKDS), Indiana Dental Association (IDA) and America Dental Association (ADA). She also serves on the board of the IKDDS Young Dental Committee and volunteers at St. Martin’s Dental Clinic. 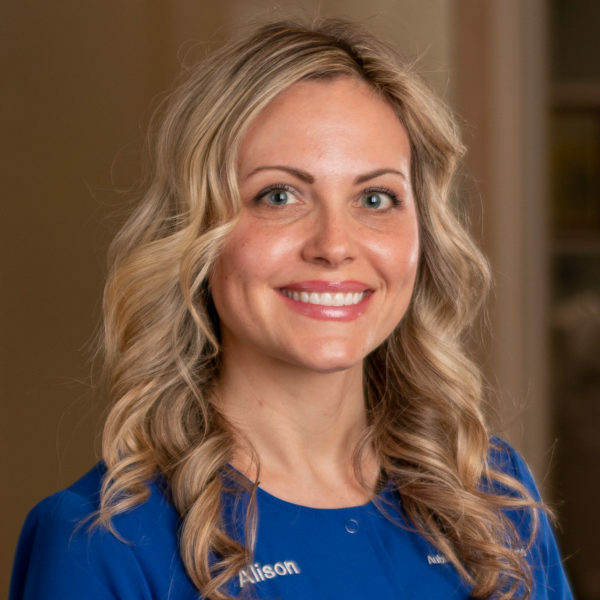 Dr. Anna is committed to listening to her patients and working together to determine a plan of care best for each individual. 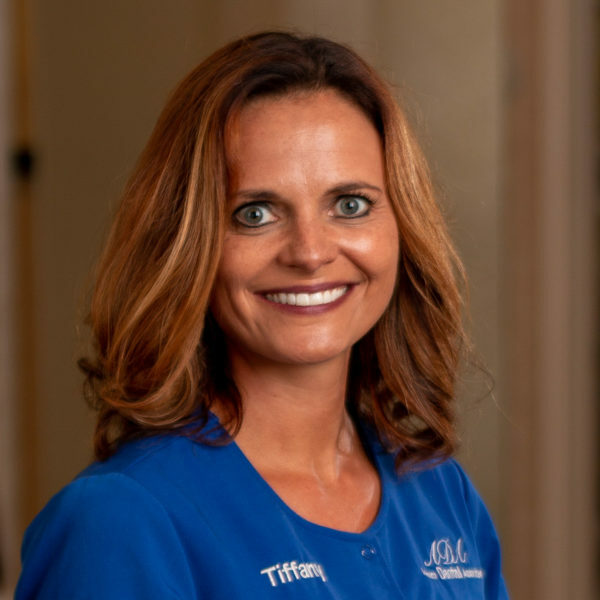 She is passionate about providing quality dental care in a relaxed environment and staying up to date with the latest dentistry has to offer. When not in the dental office, Dr. Anna loves spending time with her husband (Bryan), daughter (Marion) and Bernese Mountain Dog (Giada). She also enjoys cooking, yoga, traveling and lake days. I have thoroughly enjoyed working along side our incredible talented Doctors and a group of dedicated compassionate women over the past 32 years! Each day I find unique challenges that make my job so rewarding. 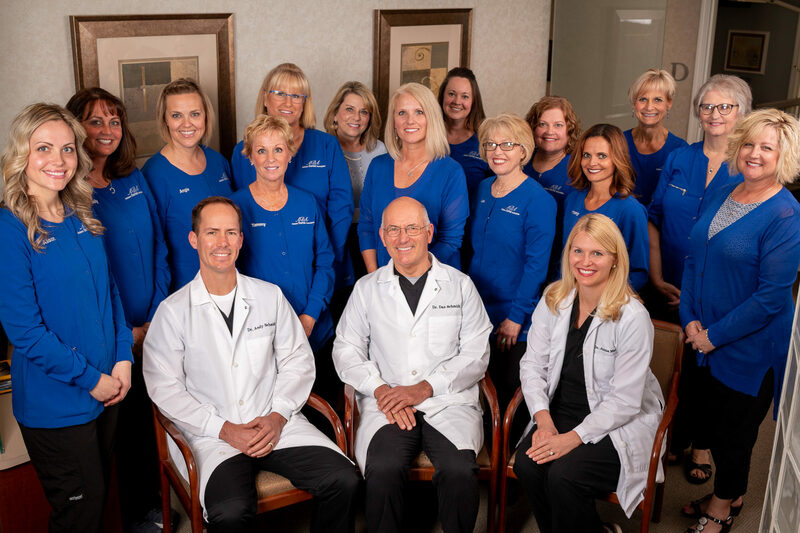 Our staff enjoys working together to assure our patients have the best experience using the latest technology, attentive personalized care, providing the optimal dental appointment. Our patients are truly our dental family and the friendships I have made along the way are cherished. After office hours I enjoy working in my flower garden, decorating, kayaking and spending time with my amazing family and granddaughter who fills my heart with joy & laughter! Caring, courteous, friendly, family-like, knowledgeable…just a few words to describe the atmosphere at the core of Auburn Dental Associates. Having worked here 15 years these qualities have remained consistent, in every Doctor and employee. It is a pleasure to work with everyone and to assist them in taking care of our family of patients. I started my dental career in my home state in Wisconsin in 1999. When we moved to Indiana, I was lucky enough to find Auburn Dental Associates in 2004. We then moved to Utah, because of my husband’s job and spent 4 years there. While in Utah we welcomed 2 wonderful little girls to our family, Kennadie and Sydnie. After our stint in Utah, we were fortunate to be able to move back to Indiana in 2011. Thankfully Auburn Dental Associates was needing a dental assistant at that time, it was truly meant to be!!! I loved them all so much and knew it was a family oriented and outstanding place it was to work, so the transition back into the office was an easy decision. It’s been so wonderful to be back, working with my amazing Indiana dental family and patients. 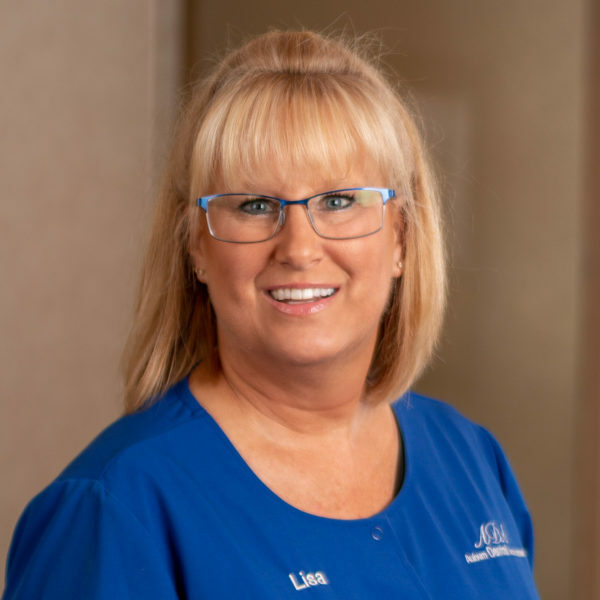 I love working with patients, making them feel as comfortable as I can in the dental chair (I usually try to use a little humor to ease the tension) and giving them the smile they always wanted. In my spare time, I enjoy volunteering at my kid’s school, watching Wisconsin sports, exercising, traveling, and spending time with family and friends. I am so very fortunate to have been led to Auburn Dental Associates to help create happy and healthy smiles! I am fairly newer having been here for about 2 years. I enjoy working with all my co-workers who have been great mentors and working for the most caring Doctors in the area! In my spare time, it seems I run a shuttle service for my 14 yr old High School Freshman daughter whom I enjoy watching cheer, do show choir, and play tennis. I also find I am running after my 2 yr old to keep her out of mischief. Thankfully, I have my amazing husband who encourages me to take time out for myself and takes me fishing and kayaking. Occasionally, you might find a book in my hand, writing poetry or songs, or simple enjoying our local breweries and wineries when I’m not conquering the mountains of laundry waiting at home. 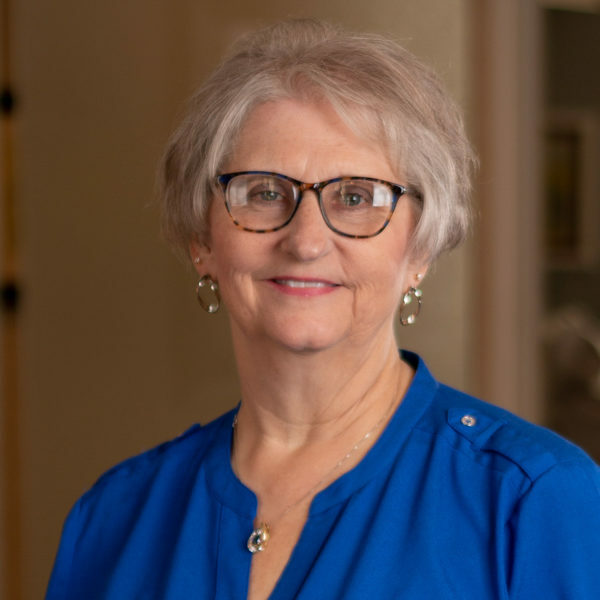 I graduated from dental hygiene 40 years ago and have worked at Auburn Dental Associates for the past 35 years. I work with an amazing staff and have met many exciting and fun patients during my career. Every day is an adventure. I love spending time at Lake Michigan and just being with my wonderful family and friends! I have worked at Auburn Dental Associates since January 2004. I enjoy meeting and caring for our wonderful patients. It is truly rewarding to help patients transform their smiles. I am proud to work at a place where new technology and techniques are valued, patients receive the highest quality dentistry and the employees are treated like family. In my spare time, I enjoy spending time with my family and friends. I also love traveling, going out to eat, experiencing local breweries, cooking, watching my daughters participate in their activities and spending time at the lake. 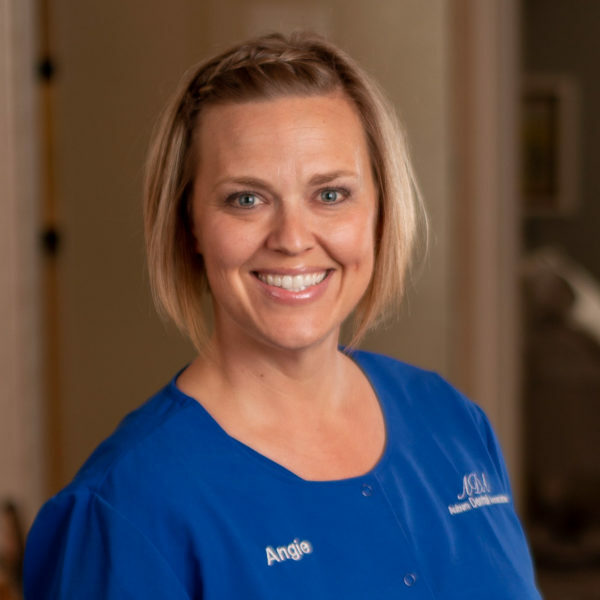 I have been a Dental Hygienist for 13 years and have had the pleasure of working as a substitute hygienist with Auburn Dental Associates for 12 of those years. I have since joined the practice full time as of November of last year. I am a graduate of Indiana University. I have been married 14 years and have 2 children ages 13 and 9. I love being part of the Auburn community! My kids are active in school functions and we love participating in local community events. I feel truly blessed to be part of the Auburn Dental Associates family and team. My favorite part of dentistry is truly the people, both staff and patients! 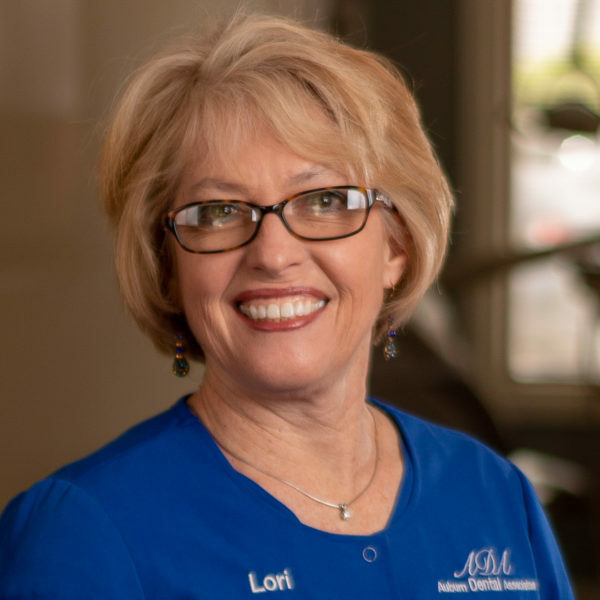 I have been in the dental field for almost 33 years and at Auburn Dental Associates for 12 of those years. I have been blessed that I have only worked in a total of 3 offices during my career, but this office has been the most “family” oriented. By that I mean, I have 3 wonderful bosses. They are all passionate about their jobs, which in turn is passed to our staff. The women I work with in the office are not only co-workers, but family. A lot of the technology has changed over these past 33 years, and I would have never imagined doing some of the things I now get to do, but although sometimes scary at first, it has forced me to continue learning and developing new skills every day. When I’m not working, my husband and I have two four legged kids that are a huge part of our lives. 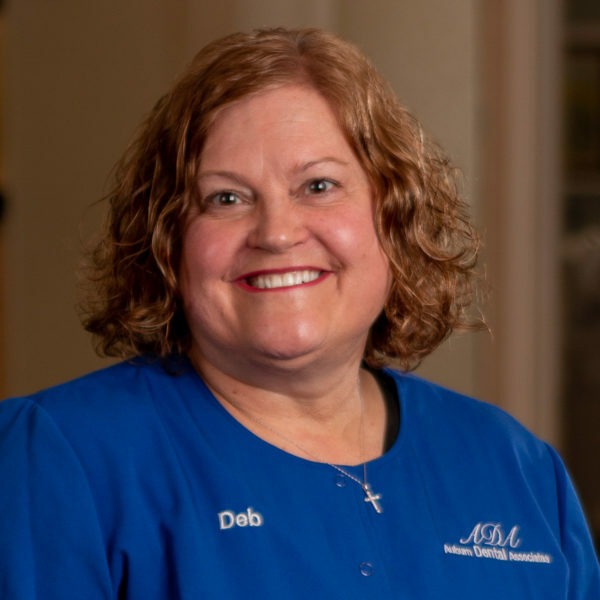 I’ve been blessed working here at Auburn Dental Associates since 2004 but have been in this field since 1988. My spare time is spent with my husband, two sons and their wives and my grandsons. I also enjoy traveling with friends and visiting wineries. This office is amazing!! The Dr’s are so caring and thoughtful not only to us but to their patients as well. The patients here are great to work with and it’s fun to get to know them and their families. I also seeing the changes in dentistry that has happened over the last 30 years. It’s fun to learn new techniques and use new products to make dentistry more comfortable and less time consuming for us and the patients. Times have changed thank goodness. This office stays on top of their game!! It’s fun working with such a large office of women and we have become a family here as well. 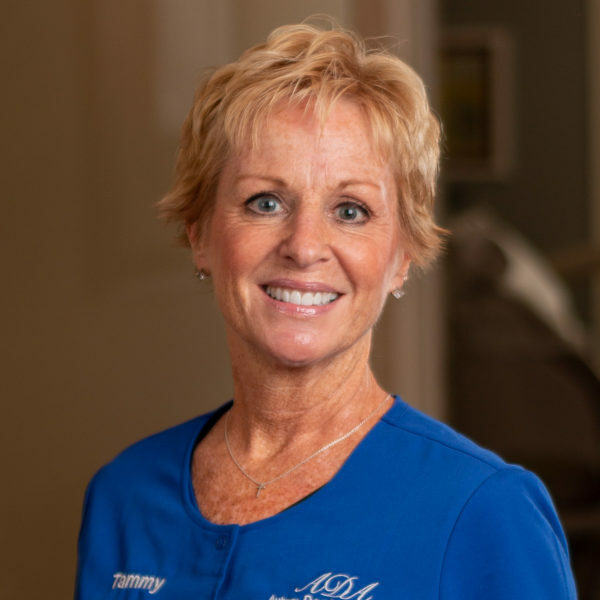 I have been with Auburn Dental Associates since 1997, and I am certified in expanded functions. I enjoy working with our patients and providing high quality dentistry along with caring for each patient’s needs. This job is very rewarding. I am married and have two sons. I enjoy watching my boy’s events, going on camping trips, relaxing around campfires, watching sports, and being with family. As I reflect back on my 38 years as a hygienist I know I chose the right profession. I have worked both part time and full time. I love working at ADA, being part of a great dental team, knowing I have the support of my colleagues both professionally and personally. Our Dr’s. have great leadership and professional skills. They continue to learn thru reading and taking dental education courses. I like how they are always learning & teaching our dental staff with the most updated information, skills and techniques to better help serve our patients. Our patients are our #1 priority. I like working together as a team to give our problems the best possible dental treatment. For me this is a very rewarding career working with my dental teammates and the Schmidt family. A personal highlight of mine is having young people interested in the dental field shadow in our office. I feel a sense of pride in my dental hygiene profession being able to help educate & answer questions. Being able to contribute to their excitement and passion for dentistry while watching them complete their goals is always an awesome reward. I also enjoy the many patient friendships I make through our dental practice! I have been part of Auburn Dental Associates family since 2014. But have had 30 successful previous years of working with the public. I enjoy seeing all of our patient faces and hearing about the joyful stories that they share. I have known quite a few of our staff members for most of my life so it truly does feel like working with family, our dental family. I have been a member of the dental team here since 1981. It is a true pleasure to work with such a great staff and a wonderful family of patients. My own family consist of 2 sons and 3 daughters. I have 6 sweet grandchildren at present…hoping for more! I enjoy spending time with my family and truly love the beauty of God’s earth. 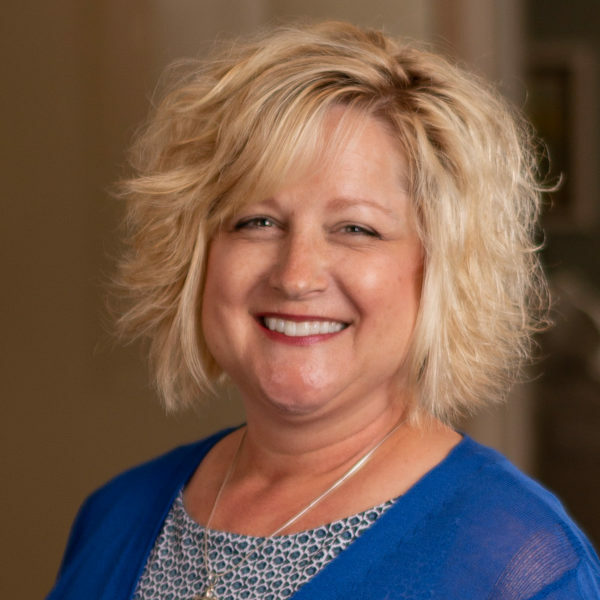 I have been with Auburn Dental Associates since 2015. I feel blessed to be working with such caring Drs. and a wonderful staff that treats all our patients like family. We have amazing patients that I really enjoy getting to know. When I’m not with my dental family I enjoy spending time with my family, hiking, riding bike, reading and going to the movies. I have many years of experience working with insurance, especially in the Dentistry field. I strive daily to keep up with the ever-changing benefits, rules and regulations in the dental insurance industry. It is gratifying to me when I am able to assist our patients in getting the most out of their dental insurance benefits. When not working I enjoy gardening, cooking/grilling outdoors and most of all spending time with my husband, children and grandchildren.